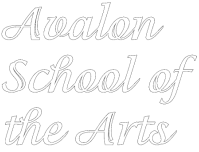 Students meet once per week for a thirty minute private lesson in one of the Avalon music studios. Instruction is tailored to each individual student. There may be an additional cost for required books and materials. To facilitate practice at home an instrument is required. For more information and to schedule lessons contact check the registration page for Private Lessons or contact Rich Burkholder directly at 616.834.0854 / email avalonmusiclessons@gmail.com. Private dance lessons allow students to work one on one with an instructor to help achieve their specific goals in dance. Whether students are beginners working to 'catch up' on their technique or advanced students working to advance their skills, private lessons are an important opportunity for growth and improvement.